When we’re not reading about new technology, it’s fair to say that our head of communications is probably watching sport. And while the AFL/NRL seasons are heading towards their entertaining conclusions, our weekends will soon be revived with the NFL and a summer of cricket. Oh and of course the EPL, sorry, Premier League is also back. But behind the soap opera-like twists every week, are the coaching teams developing tactics to counter their latest opponents. Studying the game footage takes hours and days of dedication, but there are machine learning technologies which are looking to identify trends across vast data sets (or game film). Sydney-based GameFace.AI is one of those businesses. Created by sports nut Jalaluddin Shaik, the startup has pivoted from movie analytics and is pioneering a new genre of sports assistance. His background is in AV technologies, having already designed and built large-scale audio and video platforms. 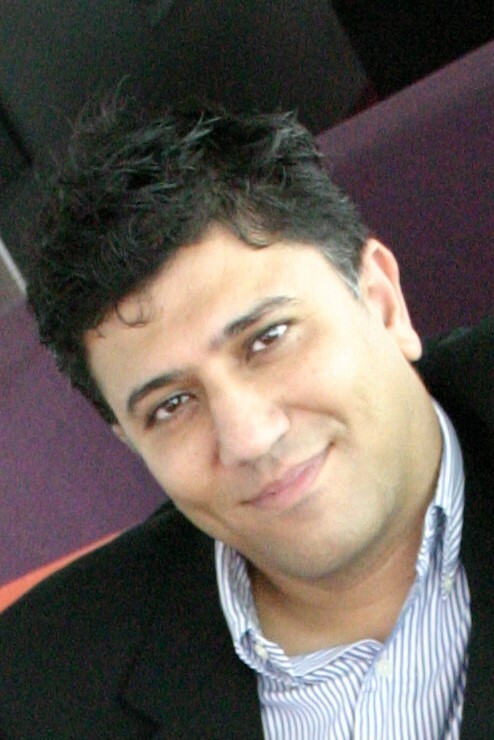 Shaik also led engineering teams at Fortune500 companies, such as Intel, Apple, Denon, and Spotify. 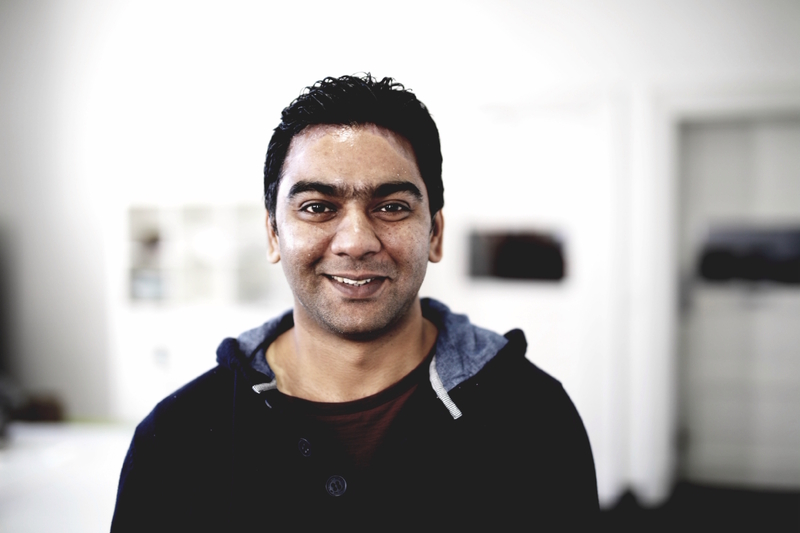 Now with an entrepreneurial focus, Shaik’s interest lies in applying artificial intelligence to analyse videos. 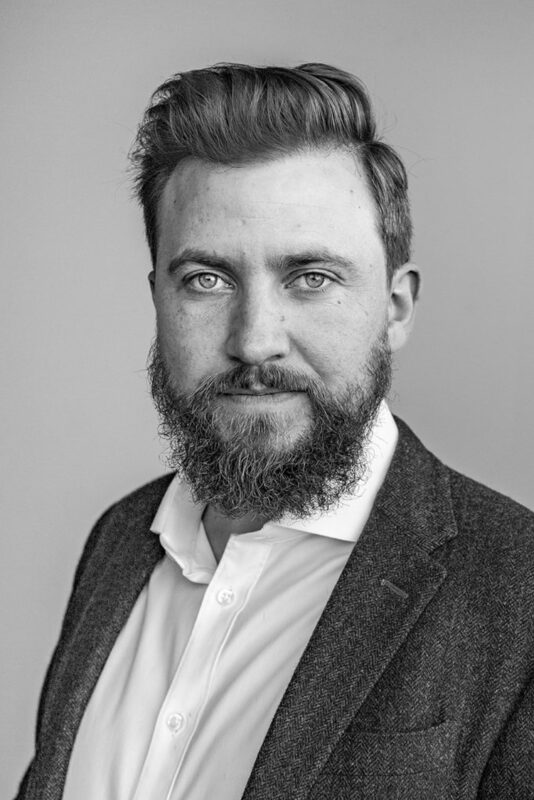 Next week we speak with Ben Beath, MD at Loud & Clear about the role of digital agencies. In episode four, ‘Cut the Cliches’ speaks with Shaik from GameFace.AI about the rise of sports analytics. Host Liam Fitzpatrick catches up with Shaik in Sydney where we discuss the difference between AI and machine learning, how GameFace rebrand is going, how sports teams are increasingly turning to video to support coaching and tactics and what might be next for the use of tech across sporting codes. A rallying-cry, that felt more akin to the opening of a concert than a #Blockchain event, but for local-Melbournian Steve Vallas, it was more of a promise. Just 10 weeks after deciding to go through with his idea, Australia’s largest enterprise blockchain event was here and packed out. Blockchain technology is big business. But what happens when big business gets serious about the blockchain? There was a lot of education throughout the sessions as Vallas had ensured there were plenty of use cases for how the technology is affecting industry today. Aussie champions, Katrina Donaghy and Louise Mercer from Civic Ledger and Everledger respectively, were on hand to talk about their experience with Optus’s Cindy Nicholson. Donaghy spoke of the need to focus on the customer first. Working together with the Queensland Govt, Civic Ledger discovered a market and had the problem validated first, then “we built out our focus on registry and marketplaces”. One of the biggest announcements came from Data 61, IBM and law firm Herbert Smith Freehills. As iTNews reported: “The CSIRO’s Data61 research and development shop is set to pilot a new blockchain-based, internet of things (IoT)-enabled platform to streamline the way Australian businesses exchange data, cement deals and work together”. So how do you develop a Proof of Concept (POC) for Blockchain? Gendry Morales — CEO at Flight Plan, ran attendees through the 4 key steps on how to get your POC up and running. – Drill down into the key customer problems you’re trying to solve and create customer profiles to really ensure you understand their needs. – Ensure you really understand the reason why you’re using blockchain. Is it for disintermediation? Maybe it might be due to authenticity, permanence or scarcity? It’s crucial you work this out during you planning phases. – Use a Blockchain Product Canvas (see below) to help you clearly address each element of your POC. Elsewhere a number of speakers compared the situation with blockchain with where the web was in the mid-90’s. “We’re at 1.0”, said Louise Mercer, “so look at where the tech needs to evolve”. There’s a lot of opportunity. The Red Cross showed its latest collaboration with TypeHuman and FlexDapps for using blockchain to sign up volunteers and authenticate their credentials. And the energy from both streams was palpable — especially from Jason Lee who spoke about NEM, the non-for-profit platform, which had a couple of startups spruiking its appeal in the shape of Rocket Shoes and Copyright Bank. Proof of Location on the way…. We were blown away by the knowledge and expertise of Kiersten Jowett, a researcher and blockchain educator. 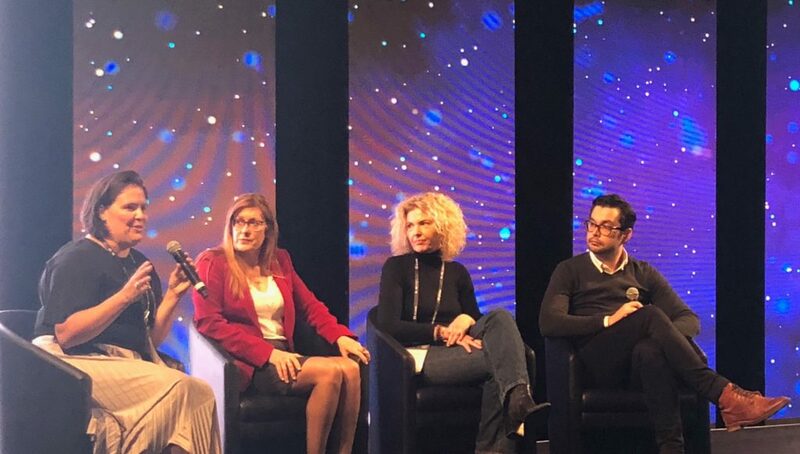 Talking on the panel ‘Applications and SAAS Use Cases’, Kiersten spoke passionately about a range of topics from Proof of Location and how the Blockchain is more reliable than GPS — through to ways corporates can experiment with the fast-paced tech. Joined on the panel by Steve Dyso — Partner at Deloitte, Scott Ni — Senior Director at Alibaba and Apurva Chiranewala — Strategy & Growth Lead at Sendle, Kiersten encouraged corporates to get involved in supporting blockchain projects. Her advice: ‘invest in a startup that’s disrupting the market and send your clients to them and then once the market matures absorb them’. But can Blockchain help humanity? Well according to Lina Lim — Director Blockchain Philanthropy Foundation, Head of Technology NSX, Chris Zhong — Digital Industry X.0 Blockchain Lead at Accenture and Rose Thompson — Project Manager at ConsenSys APAC it already is. The Blockchain for Social Impact Landscape. 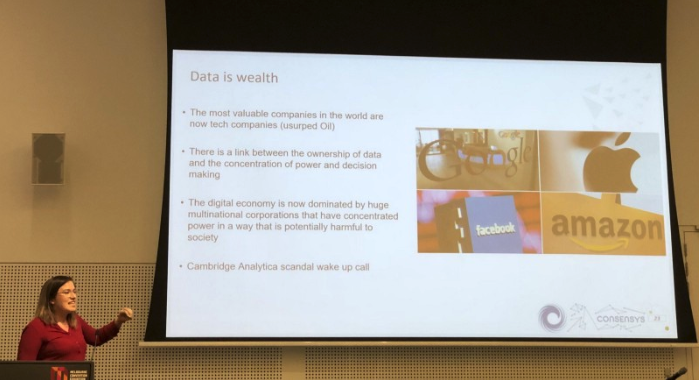 Rosa Thompson also spoke passionately about the connection between data ownership and the current concentration of power by oligopolies and monopolies. The ConsenSys Project Manager spoke about how the potential of blockchain could help to distribute power from these multinational corporations by way of data sovereignty. 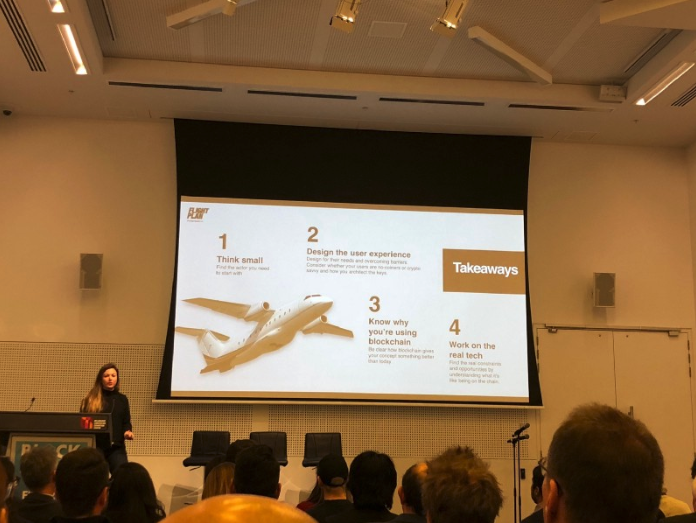 – Jason Potts, professor at RMIT Blockchain Innovation Hub opened the event with a keynote, and Stephen Alexander noted that his offerings contributed to making this one of the most comprehensive, intelligent and insightful blockchain events for applied business blockchain he had experienced. It included observations like “the fulfilment of trust accounts for 35% of the cost and effort across all supply chains today”. Alexander added that when the value of this is captured and tokenised then the tradable market value of trust within that sector alone will amount to billions of new value-based tokens. – Cindy Nicholson of Optus raised the key question — what is the business value of adopting blockchain? Alexander, said that if you cannot predict, create, capture, validate, tokenise and then trade meaningful value — then it isn’t value, it’s just a vague benefit masquerading as value. – The future trends of DApp development has been articulated by Joseph Lubin and the future can be summed up in one word…Coexistence. – He noted that we are just at the beginning of deconstructing legal instruments and embedding them into the DNA of the next generation Internet such as the ethereum. He also explained that we would only need three of these instruments to be in use to aggregate the entire demand chain and for the first time in human history, match that with the existing supply chain via blockchain based exchanges. The era of search would be over. We couldn’t agree more! – Embrace blockchain yourselves, become sovereign individuals and you can aggregate your collective tribal power says Alexander — in that way we can avoid next year’s event becoming a Groundhog Day. This article was first published on the Beam Medium page. Episode three of Cut the Cliches, and host Liam Fitzpatrick is in Sydney to get the thoughts of Steve Sinha COO (and acting-CEO) of the Australian Alliance for Data Leadership. We chat with him back in the middle of winter, when we both had colds and England were still in the World Cup. Discussion topics ranged from his background, the role for agencies, the changing role for marketers, the rise of customer experience and what’s next for AADL. This article was first published on Mumbrella. Head to Head: Does a client have the right to see its agency’s media pitch? In this series, Mumbrella invites the industry’s senior PR professionals to share their opposing views on the industry’s biggest issues. 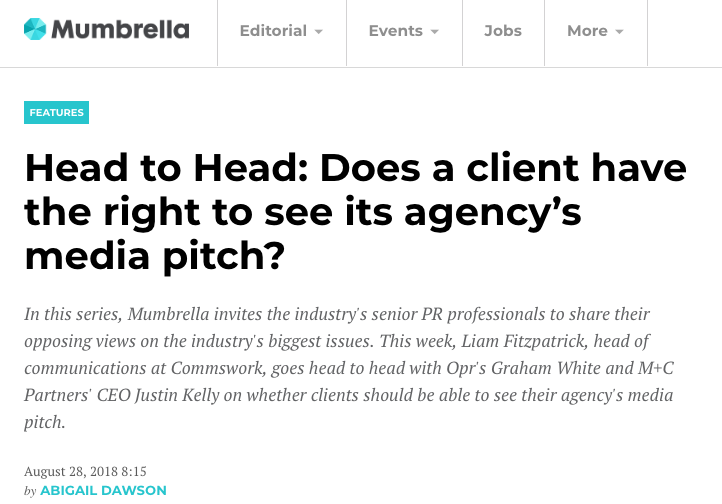 This week, Liam Fitzpatrick, head of communications at Commswork, goes head to head with Opr’s Graham White and M+C Partners’ CEO Justin Kelly on whether clients should be able to see their agency’s media pitch. Should clients be able to see what their agency is going to pitch to the media? Commswork’s head of communications and founder Liam Fitzpatrick says they absolutely should be able to in order to ensure both the client and the agency are aligned and projecting the same message. Graham White, group managing director of technology and business at Opr, argues it’s not necessary, since a good client relationship should be built on trust. Meanwhile, M+C Partners’ CEO Justin Kelly says clients don’t always understand what journalists want to see in a pitch and if the pitch contains too much “waffle and gibberish” from the brand, it will get rejected. “The simple answer, is yes. And to be clear, I’m not saying this should happen for every pitch. Sign off would undoubtedly become glacial. Perhaps just when starting out, to ensure everyone is aligned on messaging. “But if ever asked, an agency should comply and share the pitch. Let’s take an analogy from agency life – expense claims. When everything is justifiable, things are good. You’re unlikely to be questioned on it. But if there’s a deviation, a $1,000 claim for ‘entertainment’ which looks suspect and unsubstantiated, then expect to be digging out those crumpled receipts. “It’s not just because the client is paying the wages of an agency either. Although in my mind, if the client owns the IP to the work being created, which in most cases they do, it follows that they should be able to view the manner in which it’s being discussed. After all, it’s their brand and reputation that you’re potentially affecting. “More importantly there’s the issue of trust. If a client is asking to see a pitch, that bond has been fractured. So, a little insight may be needed to alleviate any concerns. When entering into an agreement with an agency, the client trusts that everything will be done to act in their best interests. They also assume that there’s a level of competence that comes as standard. The only reason that a client should ask to see a pitch, after the first stages, is if they suspect something is wrong. “Yes, I believe a PR’s relationship with media is a priority, but one glimpse into your approach shouldn’t reveal anything more than you’ve already shared through your personal client interactions. It’s not going to convince the client that they could do your job. An agency is employed because of its ability to take what a business wants to say and translate this into a story its audience/the media wants to hear. That’s our job. “I’ve previously hired an agency that continued to make basic grammatical errors and sent over copy which demonstrated a lack of understanding. When quizzed on simple concepts they couldn’t answer basic questions about the brand. Unsurprisingly when speaking with journalists about this agency, their emails were often discarded without ever being opened. That trust between client – agency – media had been broken beyond repair at every stage. For episode two, Cut the Cliches speaks with Elaine Pofeldt, an independent journalist specialising in small business, entrepreneurship and careers. 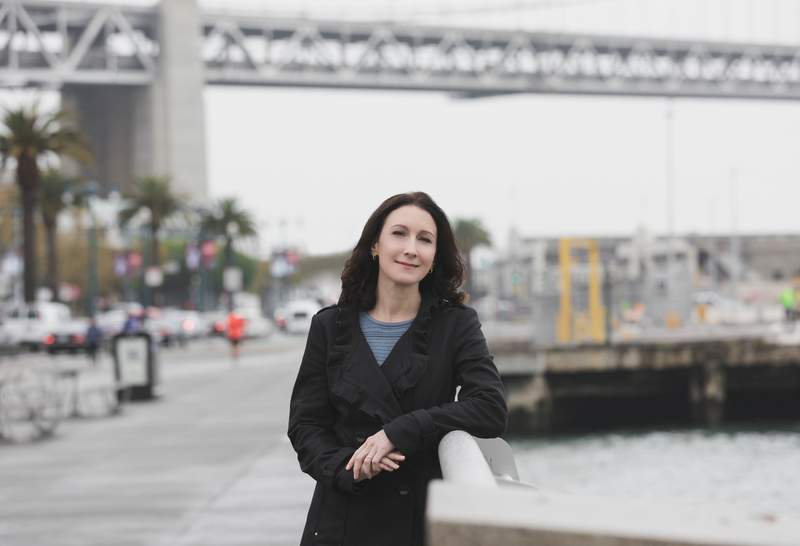 She is the author of The Million-Dollar, One-Person Business, which looks at how entrepreneurs are hitting seven-figure revenue in businesses where they are the only employees. In this episode Liam and Elaine discuss freelancing trends, finding your niche and how digital marketing can give you global reach. Enjoy. That’s right, Commswork is launching a new podcast. We look to get behind the jargon and buzzwords of an industry and every week we invite a guest to guide us through their field. Kicking us off is Mark Gustowski. We headed to the Brisbane offices of QUT’s Creative Enterprise Australia CEO for episode one. We discuss Mark’s two decades of startup experience, including his time in the Melbourne scene during the Dot Com boom and London after the 2012 Olympics announcement. 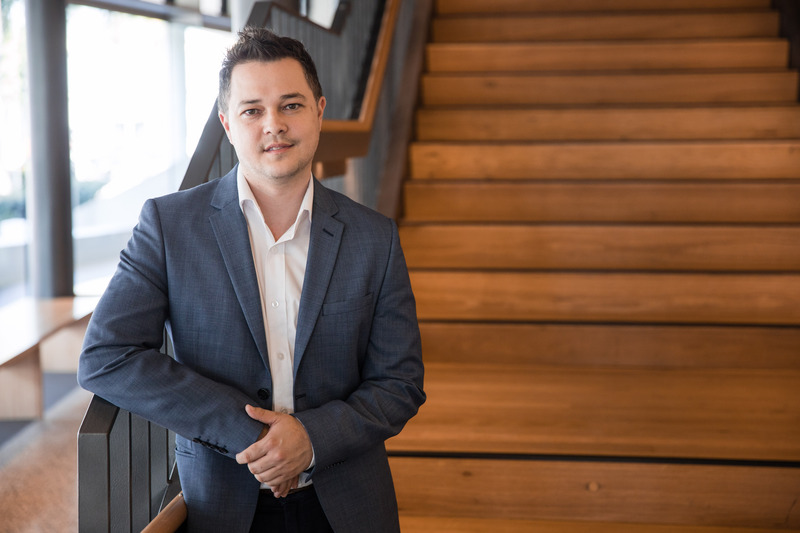 In his own words, Mark is the CEO at QUT Creative Enterprise Australia, a startup factory based in Brisbane supporting startup founders in the creative tech verticals. With experience in building and supporting startups and growth companies across Australia, the US, Asia and Europe Mark has designed and run accelerator, incubator and investment programs nationally and internationally. Having worked extensively across the public and private sectors, Mark has led the development of government policy and programs that support industry development and has also co-founded a number of startups in the tech, investment and FMCG sectors. Mark has invested in a number of Australian tech startups and sits on the board of organisations in the startup, renewable and investment sectors. Having built national and international relationship that support Australian industry development Mark is passionate supporter of the Australian industry and tech space. And we can confirm, he’s a thoroughly nice chap! Oh and look out for our next episode with author of The Million Dollar One Person Business and experienced journalist Elaine Pofeldt. Episode 1 of Cut the Cliches takes host Liam Fitzpatrick to Brisbane to speak with Mark Gustowski, CEO of QUT’s Creative Enterprise Australia. We discuss Mark’s two decades of startup experience, including his time in the Melbourne scene during the Dot Com boom and London after the 2012 Olympics announcement.